LENDER’S SALE!!!! 2 custom homes 13000 sq feet with 12 oversize garages with additional room for RV and BOAT parking on 1.75 acres in Holladay for under 2 Million which the land alone is worth that much!!!! 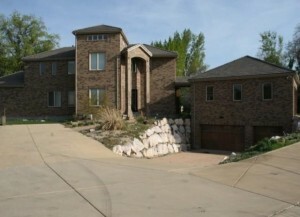 Custom home built 2007 in a small PUD in the heart of Holladay. Oversized great room with tall ceilings and plenty of light coming through 2 story windows. Large open gourmet kitchen and main floor master with fireplace is one of the highlights of this custom home. Walkout basement with 10 foot ceilings attached to the garages through private entrance is perfect for kids in college or mother in law. Completely secluded park like .80 of an acre with stream and plenty of space for a large pool, waterfall, tennis court, etc..This house has 6 oversized garages for all the toys and car collections. This is the best price for the Holladay area. SELLER FINANCING or Possible TRADE also available.